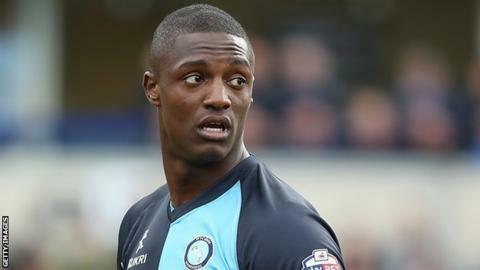 Wycombe Wanderers defender Anthony Stewart has told BBC Radio Stoke he would like to turn his loan deal at Crewe Alexandra into a permanent move. In November, the 22-year-old joined the League One club until January, after turning down a new contract at Wycombe. Asked if he would like to sign for the Gresty Road club on a permanent basis, Stewart replied: "Definitely. "It's out of my hands. It's up to Wycombe and Crewe to negotiate something and hopefully they'll do so." After coming on as a second-half substitute on Boxing Day, Stewart made his full debut for Crewe in Sunday's 1-1 draw at home to Preston North End. "It was a big day for me," he continued. "A few of the fans had not seen me play before so I had to show them what I was capable of doing. "Crewe play attractive football and I think it's the next step I need to take in my career." Stewart signed a professional contract with Wycombe, aged 18, in April 2011.